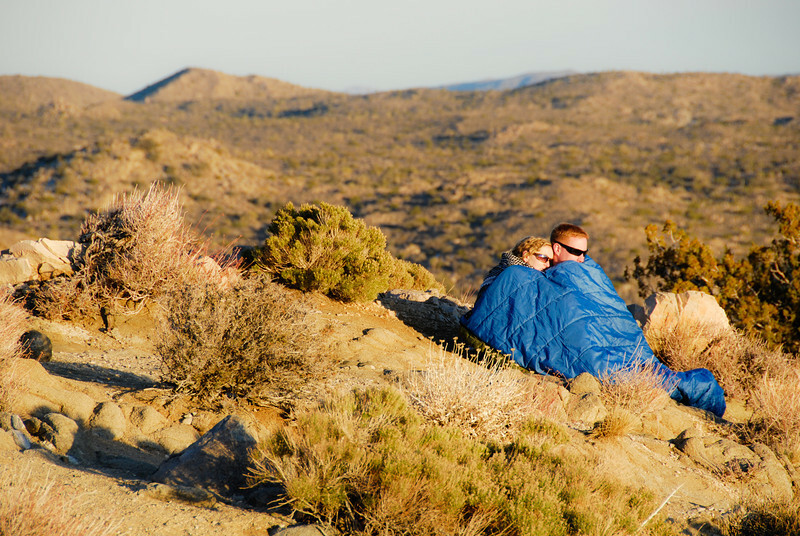 Today was our first day in Joshua Tree National Park, and I tried to make a Valentine-themed photo. A wonderful place to watch the sunset is Keys View, which has amazing views of the entire Coachella Valley, San Jacinto and San Gorgonio peaks, provided the air quality isn't horrible. Well, it was pretty bad today, so I got a shot facing East, where this couple was watching the sun go down. It was freezing, hence the sleeping bag. I have no idea who they are, in case you're wondering. Don't forget, today is also Arizona statehood day!